Seller will entertain offers from $1,079,000-$1,134,000. Highly desirable La Costa Valley home - 4 bed/3 baths w/ a beautiful view. Open floor plan with vaulted ceilings, full bed and an office/den downstairs. Updated flooring downstairs & custom painted kitchen cabinets. Expansive loft upstairs and a large master suite w/views, dual vanity sinks & soaking tub. Large pool-sized backyard. Residents enjoy The Valley Club w/pool, gym & tennis. Award winning Encinitas schools. 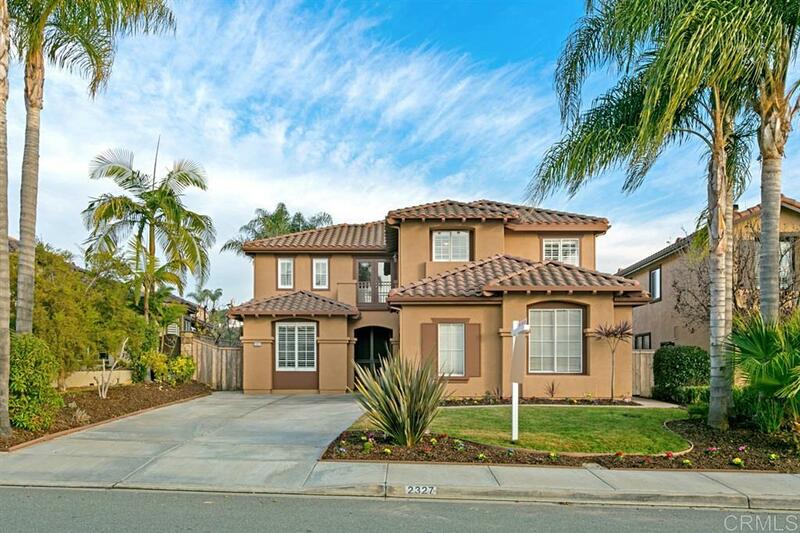 Beach, shopping & freeway close., La Costa Valley is a highly desirable community in Carlsbad. This well-kept home overlooks an open reserve space with panoramic views and no neighbors behind you. It is meticulously maintained and is move-in ready. The kitchen has granite counter-tops, stainless steel appliances/matching free standing refrigerator and an open feel to the family room. There is a full bedroom downstairs and an additional office/den area with closet storage space. Updated tile flooring that looks like modern hardwood. The expansive loft upstairs can be used for many purposes: kids play room, office, den or an optional bedroom - if needed. The large master suite has a separate shower stall and soaking tub, dual vanity sinks, walk-in closets and views. There are 2 nice-sized secondary bedrooms upstairs and a hall bath with dual vanity sinks. Air conditioning, balcony off the loft area, 2 car garage with epoxy flooring and ceiling & floor storage units, and a pool-sized backyard that is ready for your imagination. The Valley Club gives residents access to a large community pool, 2 tennis courts, gym facilities, community club house and play areas and walking trails. Close to all: Award winning schools, freeway access, shopping and the beach.